Students at Cazenovia College are encouraged to expand their college experience by taking advantage of international study opportunities. 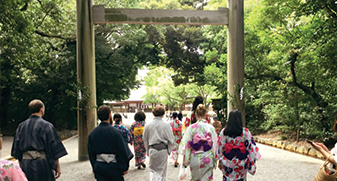 Our current study abroad opportunities include both full-semester study in England and Japan, as well as shorter duration travel during semester breaks. Students are able to earn course credit while traveling. Additionally, you can choose to use your financial aid to cover the cost of this unique opportunity. 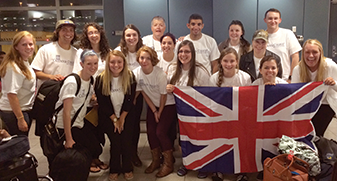 Cazenovia College students have the opportunity to spend a semester studying abroad in Canterbury, England. This program runs during the fall term. By participating in the Canterbury Program, Cazenovia students will live in, study, and explore the same city that inspired Geoffrey Chaucer. Inside the classroom, students will study an extensive variety of subject matter, including English literature and the history of Great Britain. Outside the classroom, the learning continues as students visit the very places they are studying. Monday, February 18, 3-4 p.m.
Students experienced two weeks fully immersed in Polish culture while living at the Ignatianum Academy located within the old city center. Cazenovia College students were joined by students from Le Moyne College and Ignatianum Academy for a 3 credit course with a focus on leadership, SB/EN 400 Special Topic: Taking Responsibility. The course was taught in English by faculty from all three schools. Students experienced firsthand cultural treasures such as Picasso’s paintings, Gothic cathedrals and the fantastical architectural masterpieces of Antoni Gaudí. 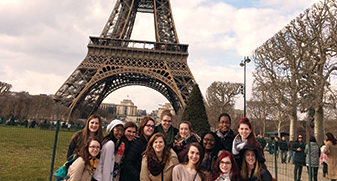 This international study opportunity to London and Paris introduced students to two exciting European capitals. Students learned through real-life experience as they treated cities as textbooks, students "read" urban spaces as one might read a book. 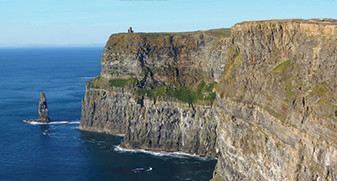 This interdisciplinary course introduced students to the richness that is Ireland through exploring its culture – past and present. Topics such as The Irish Potato Famine, the sinking of the Titanic, the Book of Kells, the "Troubles" were examined during the course.